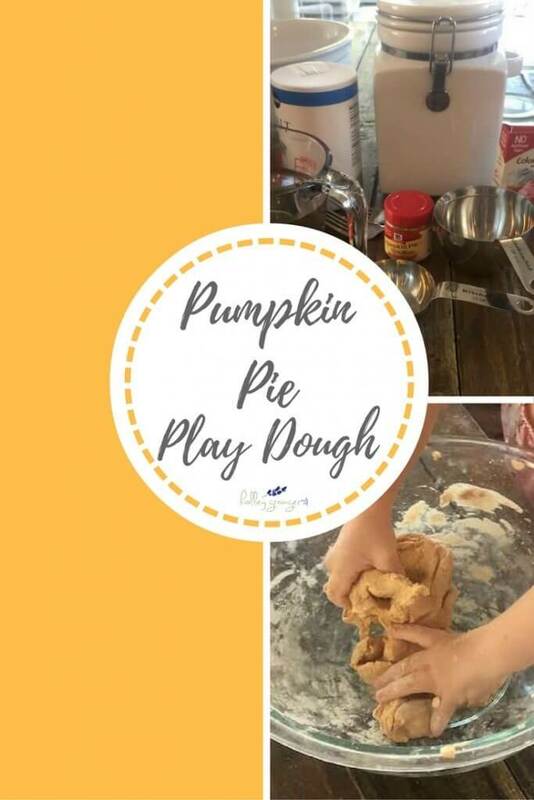 Who said you can’t play with your food when it means turning yummy smelling pumpkin pie spice into fun and festive Pumpkin Pie Play Dough. 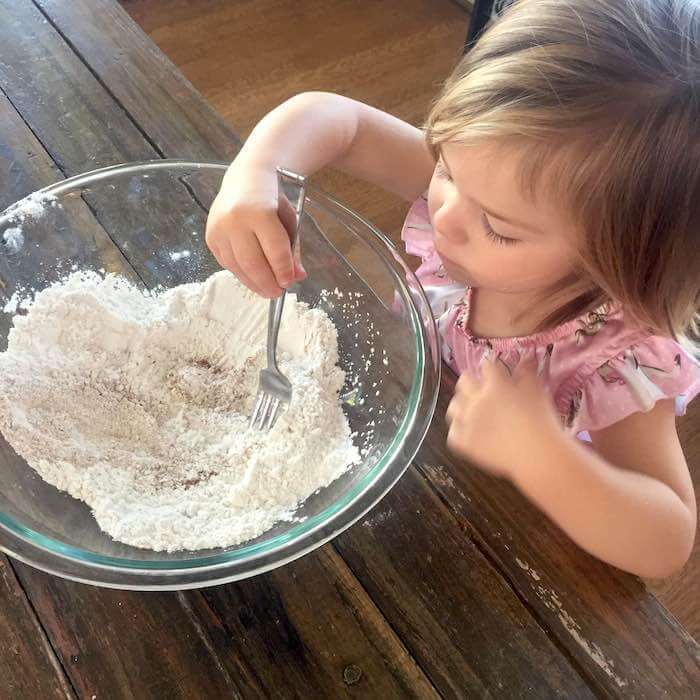 With just all-purpose flour, salt, and warm water, you can turn simple ingredients into hours of fun. 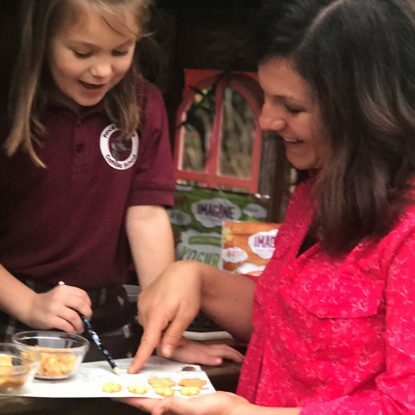 We’ve had a blast this fall coloring our play dough orange and adding pumpkin pie spice to give it a festive smell and feel. 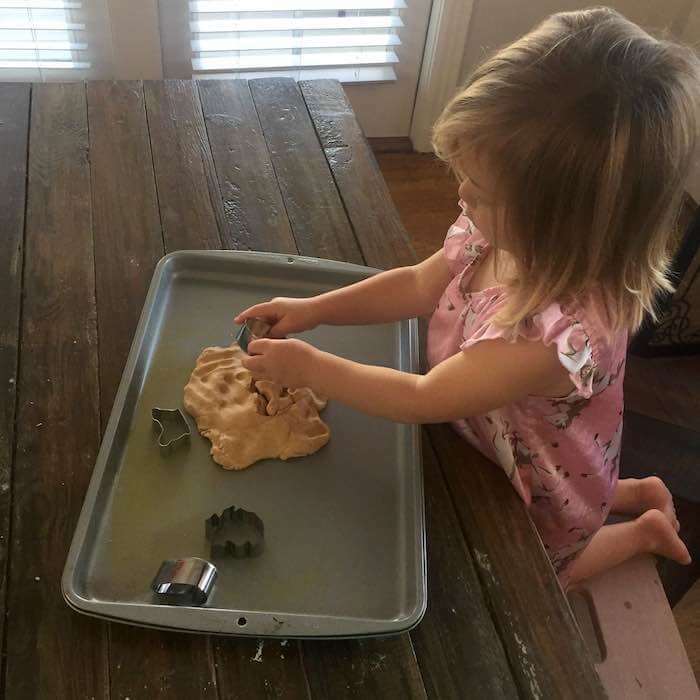 The girls love helping make this play dough because they are amazed by science behind taking just a few basic ingredients that we traditionally bake with and turning it into a toy for them to play with. This past weekend, I brought both of the girls into the kitchen to help me experiment. 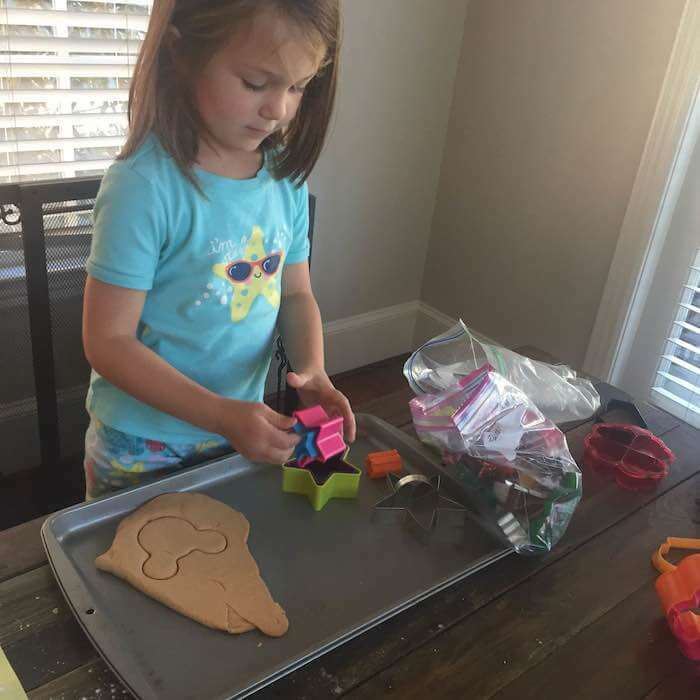 The one thing I learned about diy play dough is that everyone has their own method for making. Some people called for oil while others had very different proportions to what I determined to be the best finished product for us. One trick that I discovered to help make the color more uniform should you decide to color it is to add the food coloring to the water instead of to the flour for even distribution. I found that to make orange, it takes a bit more red than what the package might say. 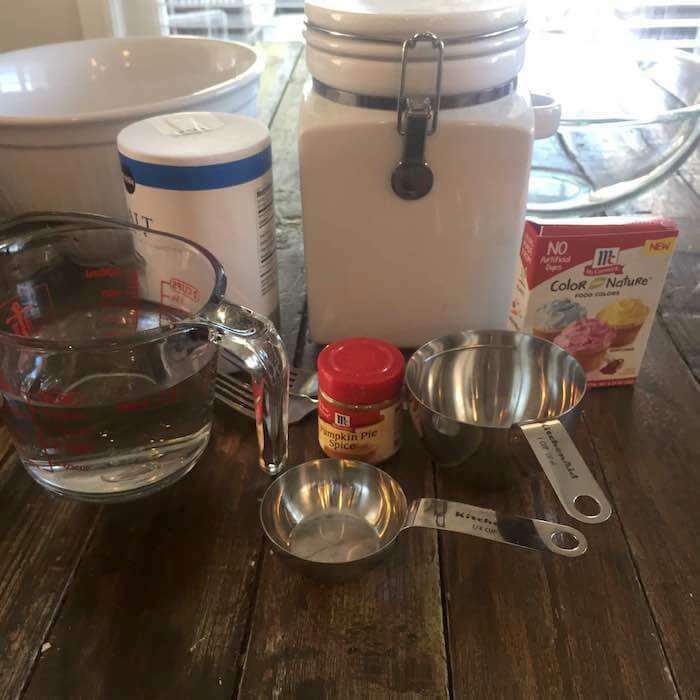 For example, when I used the drops, I used 15 drops of yellow and 8 drops of red per 1 cup warm water to give the play dough a stronger orange color. You can even go equal parts of each for a more vibrant color. Be prepared for the color to change some though because the more you knead and the more flour you add, the dingier the color gets. 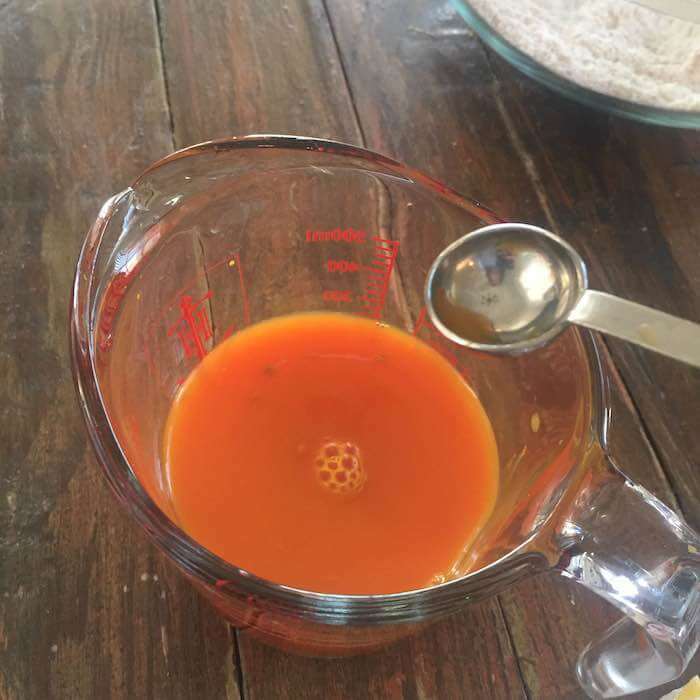 I recently received a sample of McCormick’s natural food coloring dye and stirred the yellow and red into this water to make this bright orange color. Since the play dough won’t be eaten, I may stick with the less expensive food dye drops and save this awesome product for Christmas cookies. 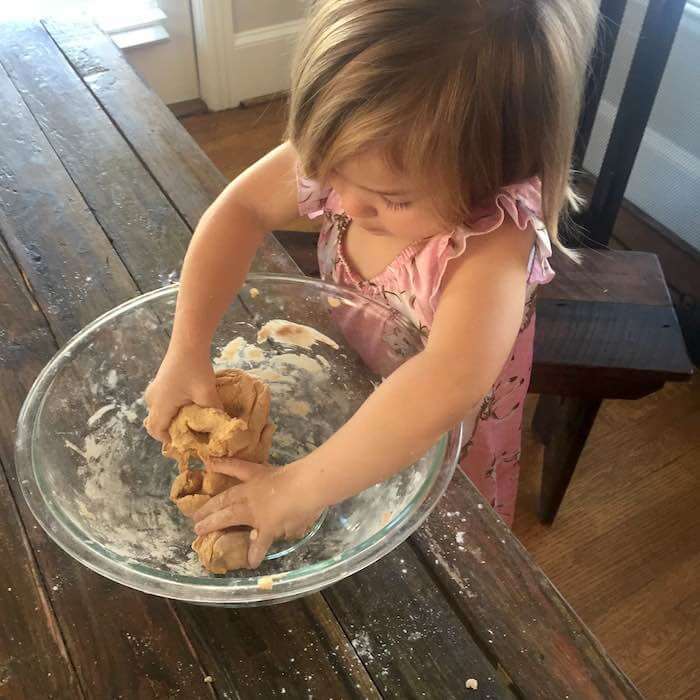 As you can see in the picture of Frances above, one tip is to knead and knead and knead your dough and be prepared to add more salt and flour as necessary to keep the dough from feeling tacky or sticky. I usually add the proportions I suggest in the recipe below but always keep another 1/4-1/2 cup flour and 2 Tbsp-1/4 cup salt in a bowl nearby. The combo of salt and flour helps to soak up the extra moisture and reduce stickiness. Once the play dough is down and is no longer tacky or sticky, let the fun begin! We pulled out rolling pins, cookie cutters, safety scissors and more to let the girls play. 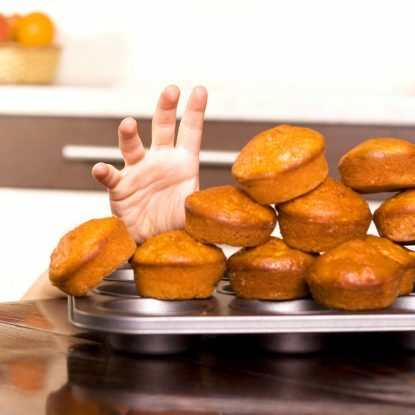 When you’re finished playing, no need to throw away your dough. Just roll it into a ball, gently sprinkle it with a flour and salt mixture and store in an airtight container. 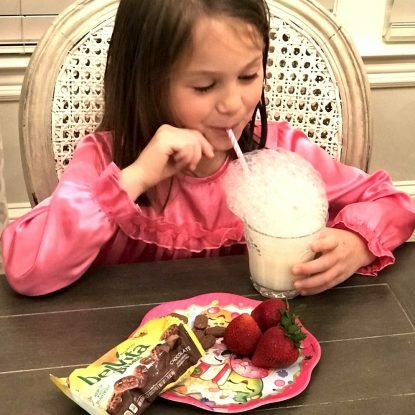 Do you have children or grandchildren at home that would love this idea? Yay! Make sure to pin it because you can EASILY adapt it. Just change around the scent (maybe peppermint for the holidays?) and the color to suit any holiday or festivity. Mix flour, salt, and pumpkin pie spice in a large bowl. Stir until combined. In a separate bowl, combine warm water and food coloring. 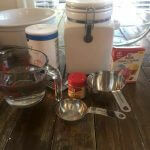 Pour water mixture into flour and stir until combined and then need until flour is absorbed. 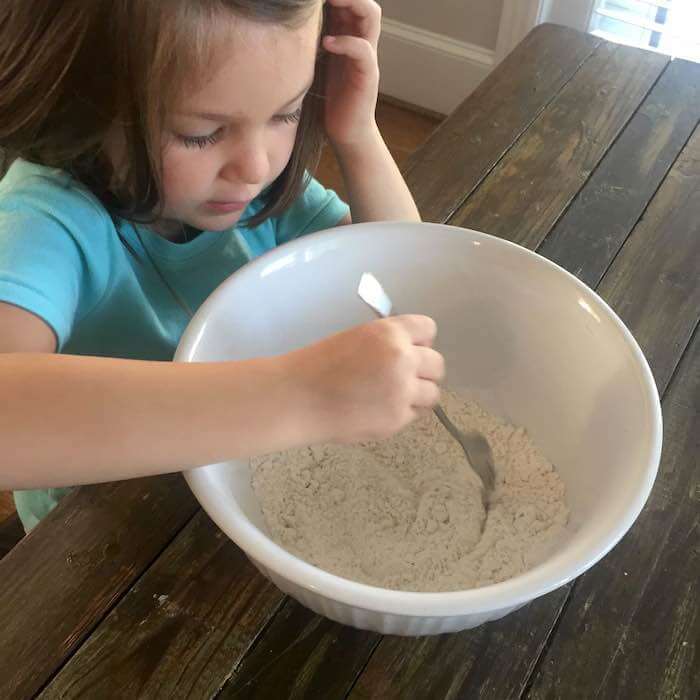 If flour mixture is sticky, add additional flour and salt until it resembles a play dough consistency.